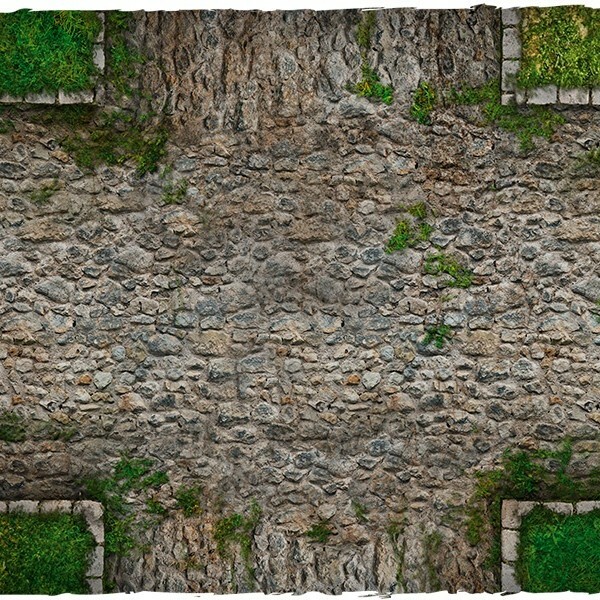 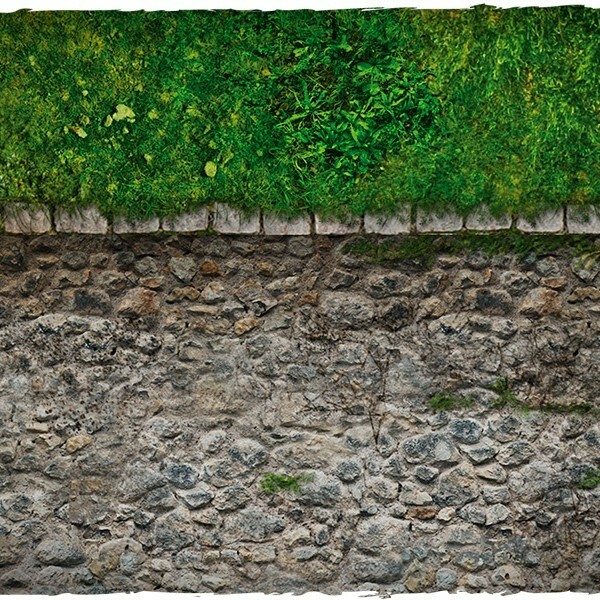 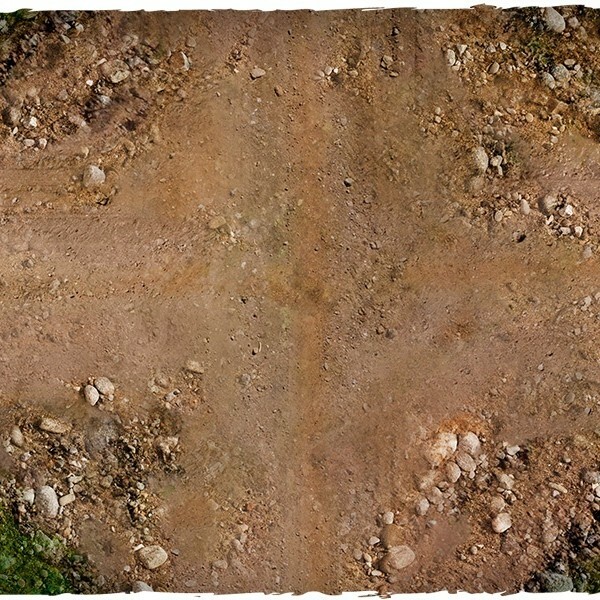 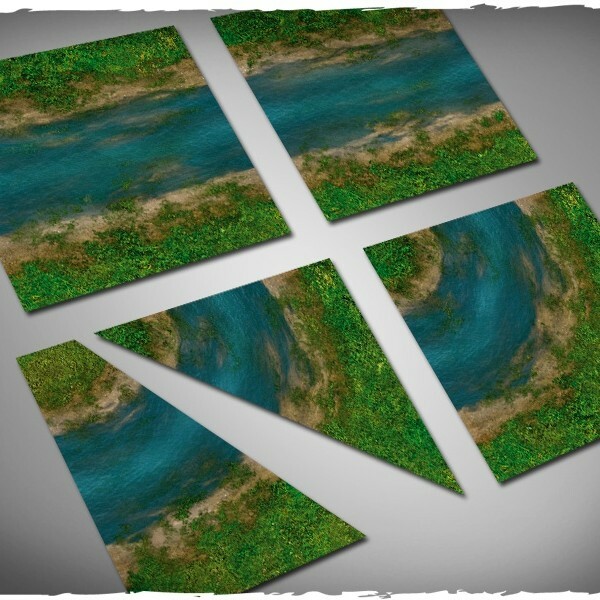 This Add-On from Deep Cut Studio and artist Jan Jasinski contains tiles depicting dirt paths, modern asphalted roads, cobblestone roads, and both clean and dirty streams. 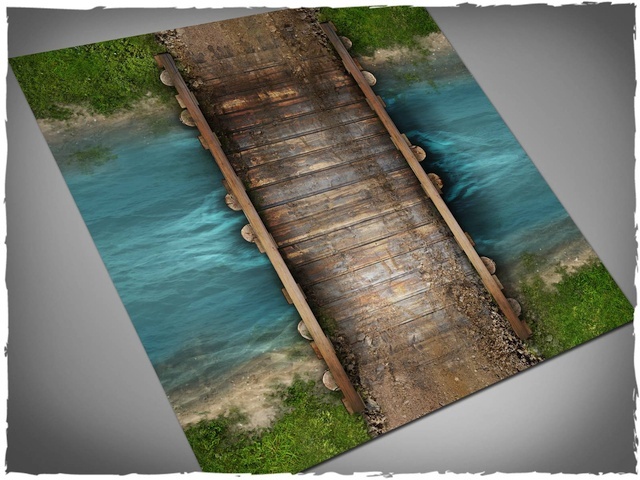 Special feature tiles include a wooden bridge, a stone bridge, and a tile for transitioning from a dirt path to a cobblestone road. 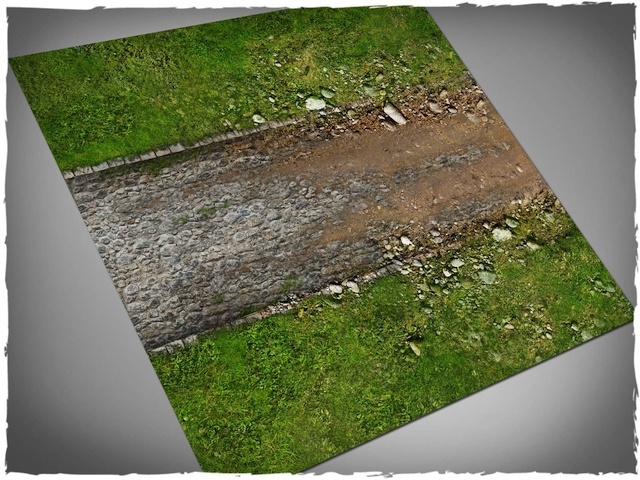 With the possible exception of the non-dirt roads, the content is suitable for use in most game genres. 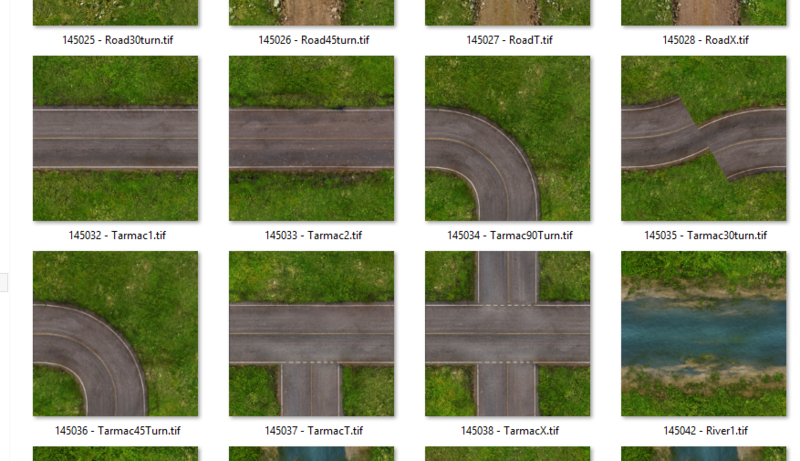 “Roads & Streams” will be a paid Add-On (exact price TBD). 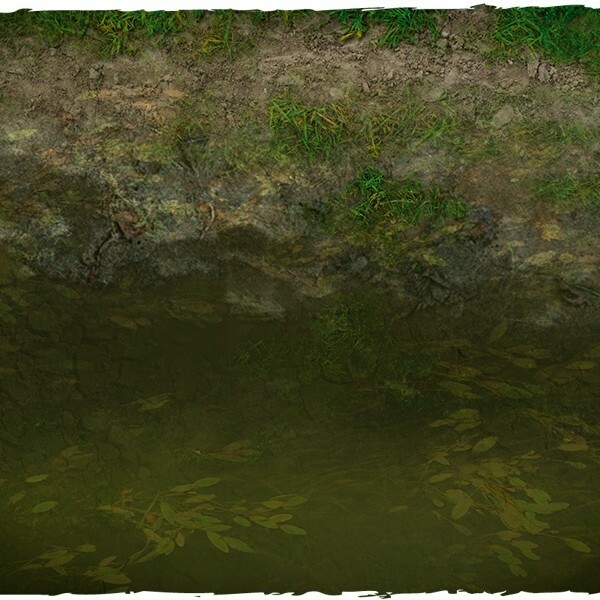 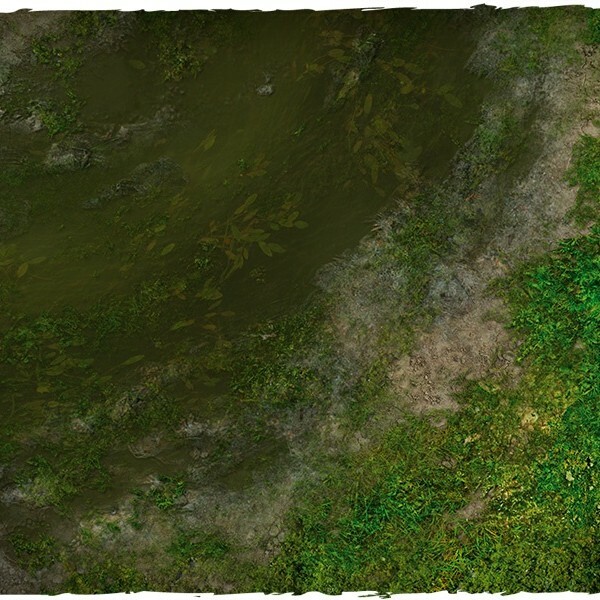 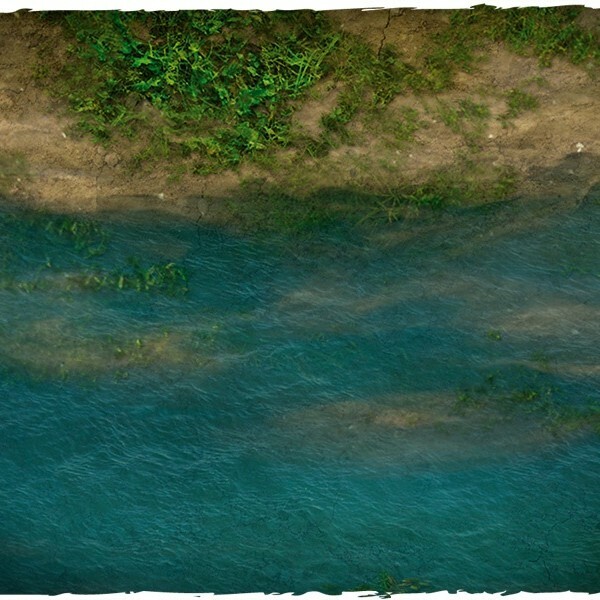 Note: This Add-On will not contain the grass texture shown in the above preview images. 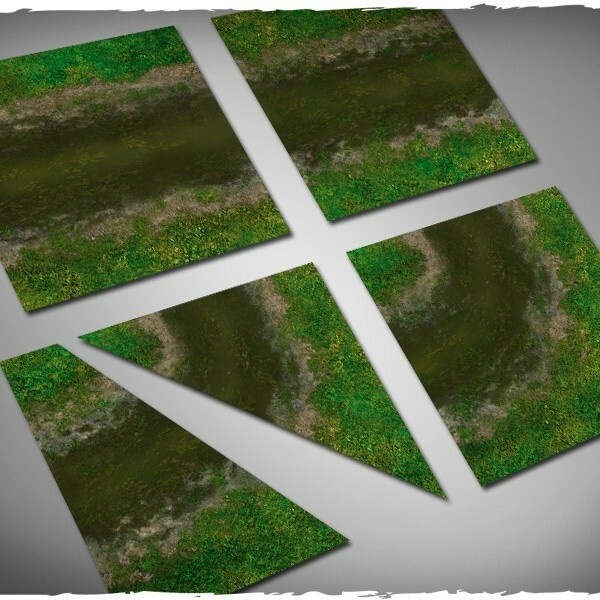 Instead, there will be two grass variants, plus a third version with no background, which you can place over a texture of your choosing, making the collection even more versatile. 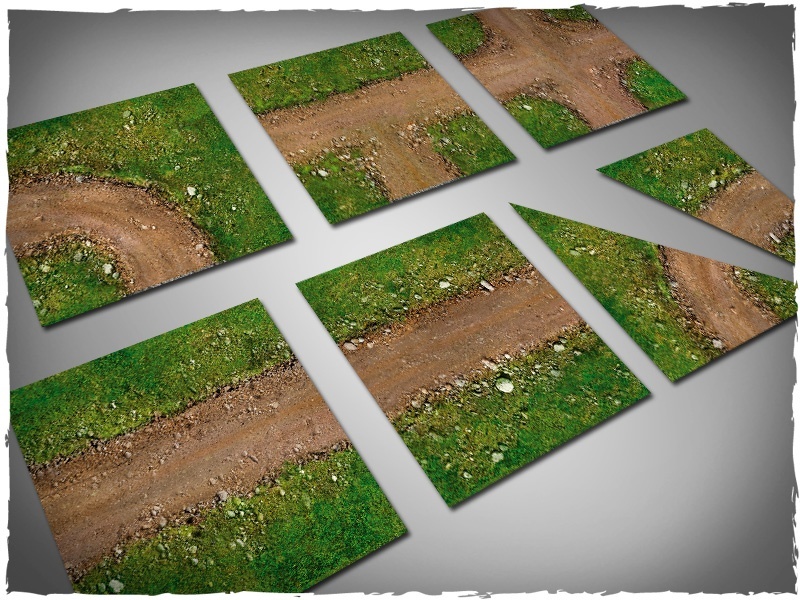 I’d venture to call this a “must have” Add-On, one that you’ll get a lot of mileage out of. 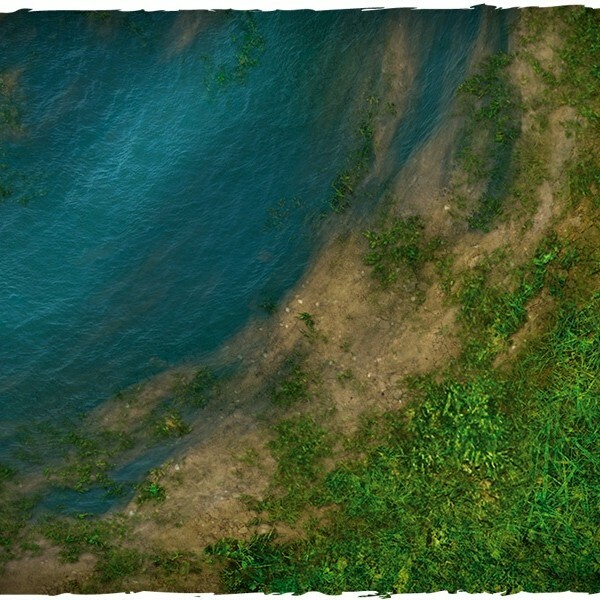 Note: This Add-On is for Personal Use Only, and cannot be used in published or commercial projects. 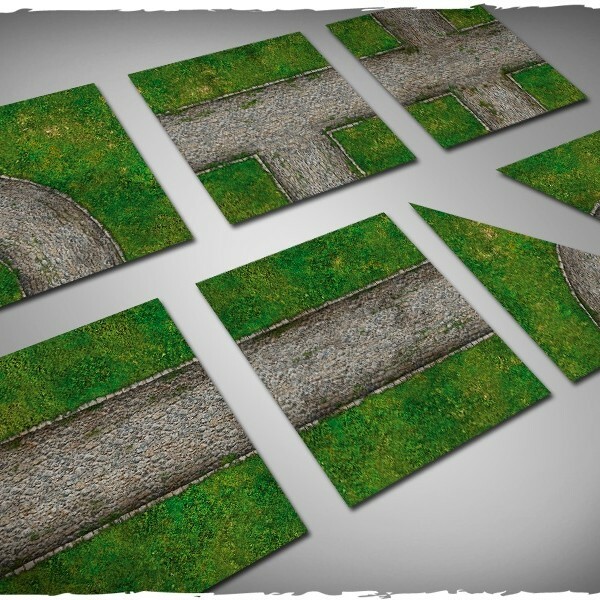 You may, however, have maps made with this Add-On printed by Deep Cut Studio, which offers great solutions printing maps on various materials, including mousepad material (thick and non-slip) and vinyl (PVC), a material that is not only highly durable and spill-proof, but also allows writing on the map with water-based markers that clean right off. 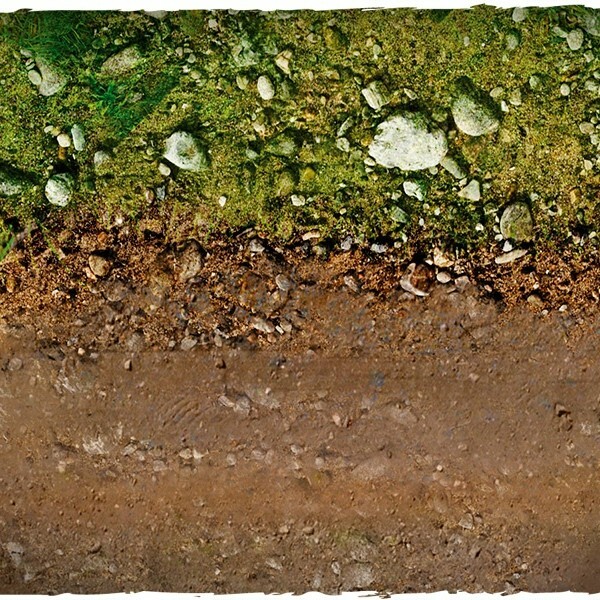 For a comparison of the various materials, watch this video.